Marc Jacobs Beauty isn't what you might expect. For Marc, getting it right involves a little bit of wrong. And as his critically acclaimed SS19 fashion show proved, Marc’s rule-breaking creativity is clearly working. But is the best yet to come? As Marc Jacobs Beauty arrives at Harvey Nichols, so does the global exclusive, limited-edition Leopard Frost collection, an eye-catching mix of shimmering finishes and creamy mattes fronted by Lila Moss in her first beauty campaign. Intrigued? So were we. The new Flam(boy)ant Eyeconic Palette contains seven metallic shades: Hey Girl Gey, You Slay, On The Runway, Serving Up, Eleganza, Extravaganza and For Your Life. 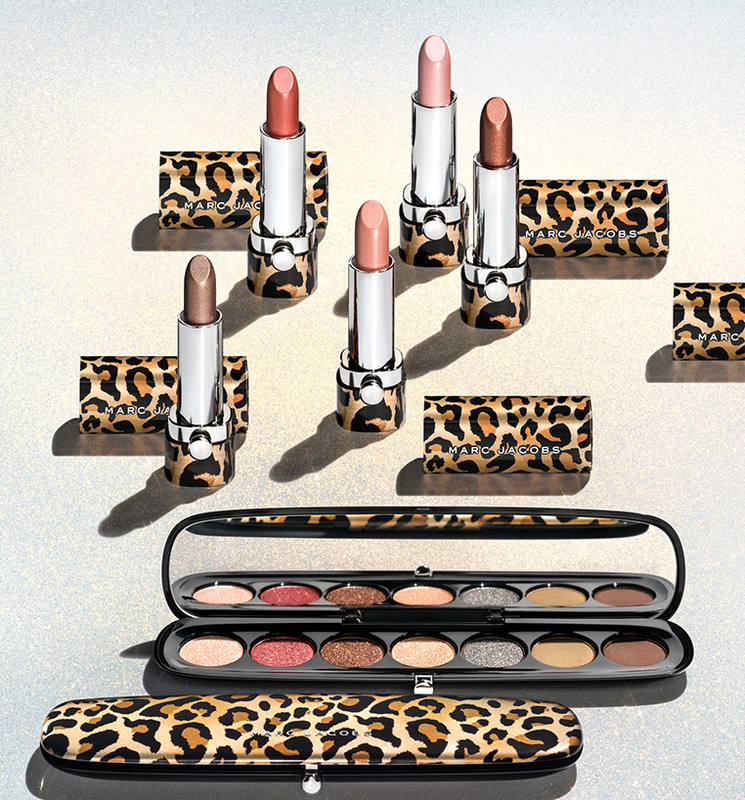 Each plush shadow has high-impact pigment to last all day, and comes in a leopard-print case. Mix and match the icy finishes and creamy mattes to layer and dress your eyes. The Metallic Lipsticks range from frosty pink Diva to chocolatey Detox. Each colour is triple-milled (for an extra impact) and enriched with hydrating ingredients. They include powerful peptides, antioxidant-rich seaberry and natural humecants. One slick promises 10 hours of wear.